The subject of poetry has been haunting me for some time. I want to read more poetry, better understand its importance, engage its insights, and discern why it is so much a part of the fabric of our humanity. I have not found enough of the time needed to take up these matters or perhaps more to the point I have not been sufficiently intentional – trapped as so many of us are in the breath-taking busyness of ordinary life. For poetry one needs a place of quiet breathing. Aristotle unlike his teacher Plato – held that poetry can help us get at the truth of things, convey moral values and serve the common good. 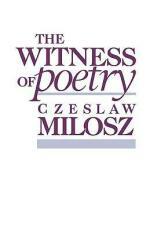 In his little book The Witness of Poetry, Polish poet Czeslaw Milosz (1911-2004) defines poetry as “a passionate pursuit of the real”. 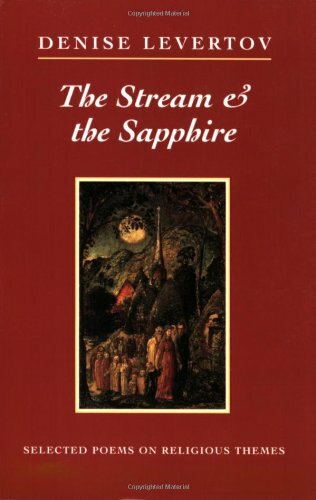 Put more simply Maritain sees Poetry as a resource of spiritual energy a means of non-conceptual – intuitive knowledge. Here the profound giveness of things – their very existence somehow speaks to the human heart perhaps a resonance made possible because of their common source. The connection between poetry and the religious is clear. This is true despite the fact that most poets are indifferent or outright negative toward religion. It is as though the poetic impulse reaches beyond the immediate to connect to or be united with some power or presence evident through nature. One must acknowledge that the close connection between poetry and religion means that at times they may be allies and at times the poetic may become a substitute for religion. This risk is unavoidable because the two inhabit the same domain in the rhythm of human life. A deeper connection that merits attention beyond what I can provide here is the link between poetry and prayer. American poet Denise Levertov (1923-1997) devoted much attention to spiritual matters. Though an agnostic for many years, in the 1970s a shift occurred away from religious doubt toward belief. It was as a result of her writing of poetry that the new direction emerged. A long-time activist for social concerns her work revealed a turn toward to religion. She once claimed that the poet’s goal was “to live with a door of one’s life open to the transcendent, the numinous.’ For Levertov poetry was something akin to prayer. It was a means of communicating as well as of listening and receiving. We live in a world where much that is true has been made small, flattened, re-duced, and ultimately trivialized. Walter Brueggemann comments on just such a situation in a book on preaching – Finally Comes the Poet. I believe all artistic expression belongs in this circle of the poetic and has a capacity to be like a call summoning us to deeper understanding, fresh perspective, intentional action and renewed faith. A stay against confusion a push against reduction.